An original watercolour by Margaret Thompson. 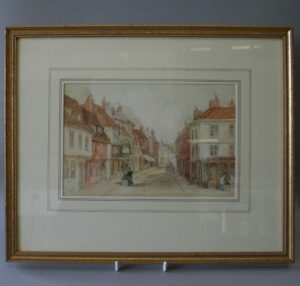 The picture shows the High Street in Hitchin in the 1860’s. It was painted in 1914.